VIP and Lower Boxes are sold out - reserved to organizers, sponsors, family of delegates, and VIPs. 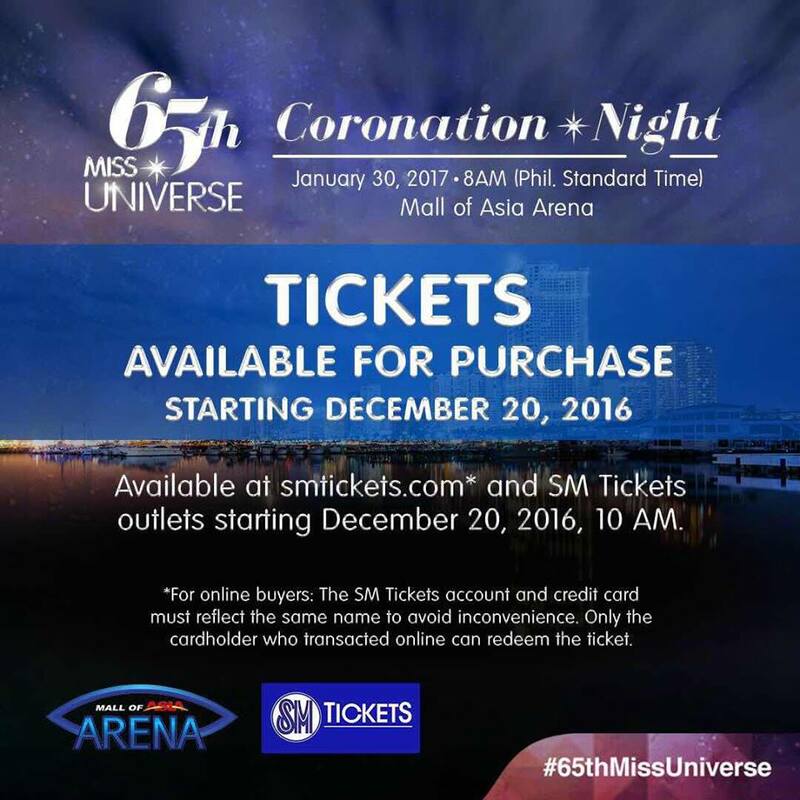 Miss Universe 2016 will be the 65th Miss Universe pageant. 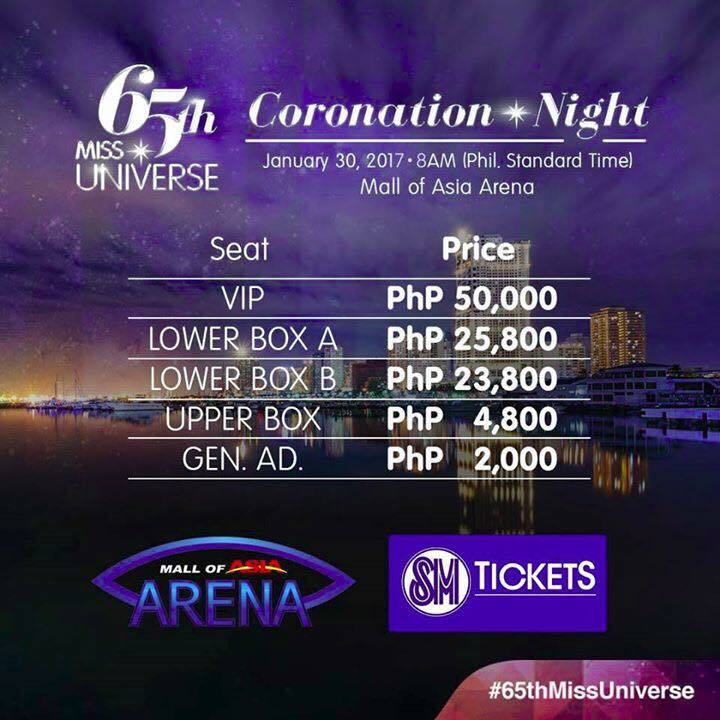 It will be held on 30 January 2017 at the Mall of Asia Arena, Pasay, Metro Manila, Philippines.